International Conference on Diversity, characterization and utilization of plant genetic resources for enhanced resilience to climate change Genetic Resources Institute of ANAS, Baku, 3-4 October 2011. Establishment of the National Information Sharing Mechanism and preparation of PGRFA Country Report. 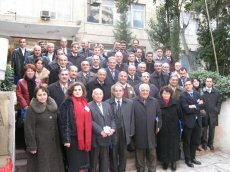 Institute of Botany, Azerbaijan National Academy of Sciences, Baku, 7 December 2006. The National Mechanism is a network of national institutions and experts engaged with the conservation and sustainable use of plant genetic resources for food and agriculture (PGRFA) in Azerbaijan. conserve the country's historical memory on PGRFA. The Mechanism, which serves as a monitoring tool of the implementation of the Global Plan of Action (GPA) on PGRFA in the country, has been established with the technical and financial support of FAO. A Steering Committe, thirteen national institutions, and more than 120 national professionals, experts and farmers have contributed to the Mechanism's establishment in 2006. A Report on the state of PGRFA in the country has been prepared, based on the information gathered through this process. This strategic assessment describes the present state of PGRFAconservation and use, highlighting achievements and changes since 1996 and identifying priorities and needs to be dealt with by the National Programme in the coming years. 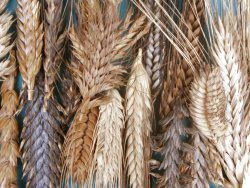 It will be submitted to the FAO Commission on Genetic Resources for Food and Agriculture as the Azerbaijan’s contribution to the preparation of the Second Report on the State of the World's Plant Genetic Resources for Food and Agriculture. 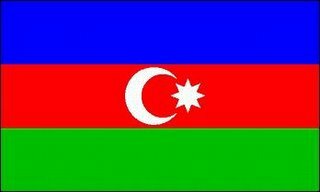 A Database including information both in Azeri and English on in situ and ex situ PGRFA conservation, breeding and seed production. It also includes the most comprehensive inventory of national PGRFA-related institutions, experts, publications, laws and projects, as well as of cultivated varieties. This database serves the State PGR Committee and national institutions as a working instrument for drafting strategies and plans. All stakeholders, specifically, public or private institutions, organizations, enterprises which contribute to the conservation and sustainable utilization of plant genetic resources for food and agriculture in the country can be part of the Mechanism by contacting the National Coordinator or the Mechanism's Curator.